I got 3 words for Him & government before I head off for the weekend : Alhamdulillah and Thanks! 6.5% & 6.8% cuts? Wow. I like it. Fuel prices will be 15 sen cheaper from 12.01am. Ron97 will be RM2.15 a litre, Ron92 (RM2.05) and diesel (RM2.05). 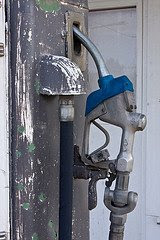 The reduction, the fourth since August, was made following the drastic drop in global fuel prices. The price of crude oil has fallen to $63.52 per barrel from a peak of just over $147 a barrel a few months ago, so Malaysia has not yet passed on the full effects of the oil price decline to consumers. I got this info from Klubbkid. Thanks for the info. Effective on January 1st, 2009, cigarette price must be at least RM6 for a box of 20s, and all packaging must carry those pictorials of the effects of cancer. Effective on October 30th, 2008, all restaurants and cafes with outdoor, open air premises, are declared smoke-free zones. Damn! Tak leh lepak mamak sambil berasap? Aduh. Kene tangkap.. compund for a maximum of RM5,000 or a fine of RM10,000 or two years jail if found guilty. Aduh lagi!